Having a baby is a life changing experience for everyone involved, including the family dog. Dogs & Storks is the first national program that offers positive, practical, and fun solutions to help families with dogs prepare for baby before baby arrives. If your dog has never spent significant time around babies, toddlers, and children, don’t wait until baby comes home to discover potential problems. Preparing ahead decreases stress and increases success! 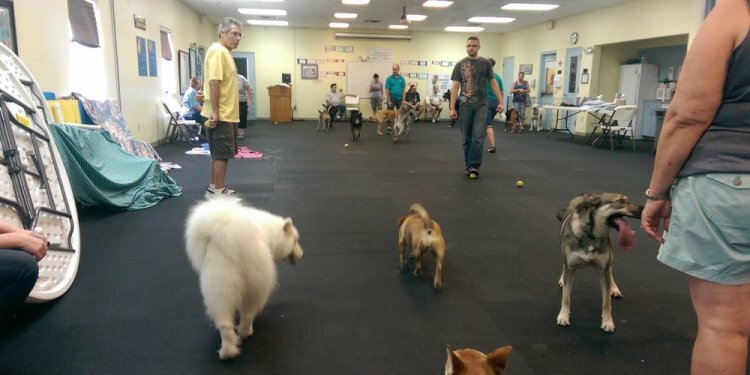 We now offer workshops at the SPCA Tampa Bay’s Largo campus, The Metro Wellness & Community Center, Tampa General Hospital and Florida Hospital – Tampa. We are proud to offer our Dogs and Storks workshop at Tampa General Hospital and Florida Hospital. The workshop fee is $20.00. A maximum of two people may attend per registration. Workshop includes an informational booklet. Please do not bring your dog to the workshop. Meagan Montmeny, ABCDT, CPDT-KA, is the Behavior and Training Manager for the SPCA Tampa Bay in Largo, Florida. Meagan works with families to help improve communication between owner and pet while furthering SPCA Tampa Bay’s mission to keep families together. Meagan is currently working on her Master’s Degree in Applied Behavior Analysis and Counseling for Companion Animals.